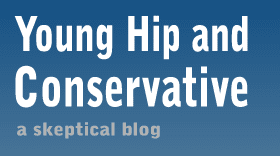 Young, Hip and Conservative: a skeptical blog: Can food ever be sustainable? Can food ever be sustainable? He also thwarts the claim that these systems are more natural because the animal breeds farmers raise are either far removed from nature or their animal urges and life cycles require interference. ...Rotational grazing works better in theory than in practice. Consider Joel Salatin, the guru of nutrient cycling, who employs chickens to enrich his cows’ grazing lands with nutrients. His plan appears to be impressively eco-correct, until we learn that he feeds his chickens with tens of thousands of pounds a year of imported corn and soy feed. This common practice is an economic necessity. Still, if a farmer isn’t growing his own feed, the nutrients going into the soil have been purloined from another, most likely industrial, farm, thereby undermining the benefits of nutrient cycling. Still, I disagree with his thesis. He takes the position that our current "factory farming" system is unsustainable and the small-scale alternatives are unsustainable, therefore eating meat and animal products is unsustainable. By that logic, he might as well say that food production can never be sustainable. The critics of "factory farming" have a history of exaggerations, but suppose they are accurate and we shouldn't produce food on a large scale the way we do now. That's simple enough to fix; we follow agricultural economist William A. Masters suggestion and revamp large-scale food production. There's nothing preventing us from producing an industrial system for food production that deals with the legitimate problems raised by critics, like run-off and animal welfare. If sustainability is a legitimate hurdle to overcome, then we have to make smart changes. Inefficient, wasteful and expensive small farms are not the solution. As a (mostly) vegetarian - I have to begin by asserting I don't criticize people for eating meat or advocate policy that limits the production of meat as would likely be assumed when adopting that label. That said, I'm a vegetarian mostly for health reasons and there's ample evidence suggesting severely limiting meat consumption does wonders for peoples' health. I also don't doubt that having entirely plant based farms, instead of meat factories, would be better for the environment. But it will have to be consumer enlightenment and choice that leads to that outcome. If you do want a burger I recommend the Engine House here in L/A: http://www.wcsh6.com/news/article/191712/138/Fire-House-Grille-burger--onion-rings I hear it's awesome and this video even makes my mouth water. At any point over the last 200-250 years, you can find someone making the claim that we are nearing the point of maximum production. When the world population was around 200 million, we were getting near the limit. When it was 500 million, we were getting near the limit. When it was 1 billion, we were getting near the limit. So on and so forth. The problem is that in order to make these claims, one has to believe there is a theoretical limit to the production of anything. That's stupid of course, without knowledge of future technological innovations, it's pretty dishonest to say we are nearing the limit of anything, eg. the production of ________ is definitively unsustainable. Food or widgets, it doesn't matter, history tells us that innovations combined with economic realities will almost inevitably result in moving the bar of un-sustainability higher and higher. What do you mean by "access"
Is Tyler Cowen really a "foodie"